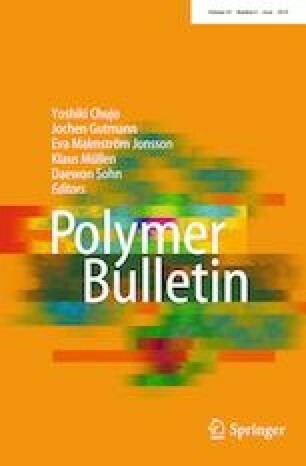 The polyimide/montmorillonite nanocomposite based on the reactive montmorillonite with amino was prepared via in situ polymerization. The reactive montmorillonite with amino was obtained by the intercalation and coupling reaction. The reactive montmorillonite could be dispersed well in the polyimide and had good compatibility with polyimide. The reactive montmorillonite influenced the crystal structure and the molecular weight of the polyimide. Polyimide/montmorillonite nanocomposite based on the reactive montmorillonite had uniform weight distribution. The light transmittance of polyimide nanocomposite decreased compared to pure polyimide. Thermal stability and mechanical properties of polyimide/montmorillonite nanocomposite were improved by adding small amount of the reactive montmorillonite with the amino. In contrast to pure polyimide, the tensile strength of polyimide nanocomposite increased by 54.6%, and Young’s modules increased to 2.02 from 1.56 GPa. Finally, the formation mechanism of the polyimide/montmorillonite nanocomposite based on the reactive montmorillonite with aminos was proposed. 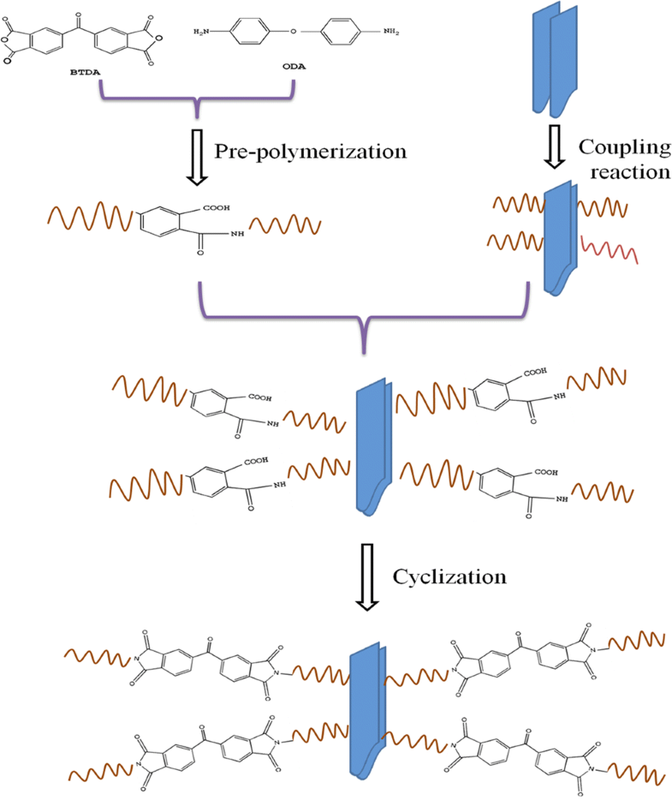 The approach of the preparation was also applied to other polymer nanocomposites. The authors are thankful for the supports of National Youth Natural Science Foundation of China (No. 51503107) and Science Foundation of Shandong Province of China (No. ZR2018LE007).